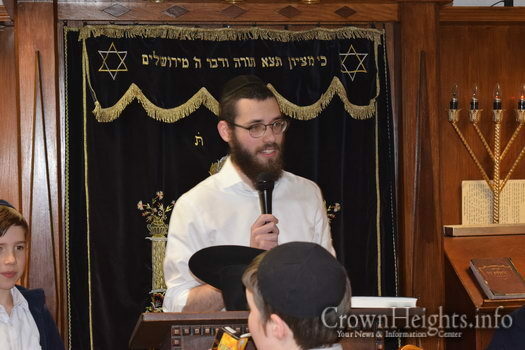 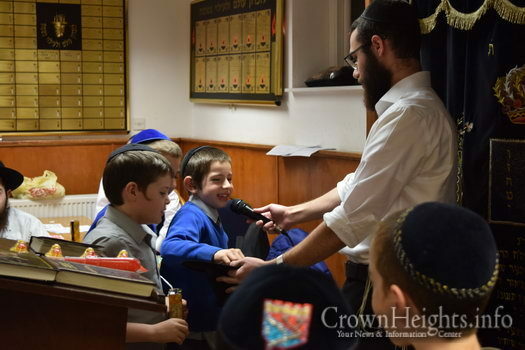 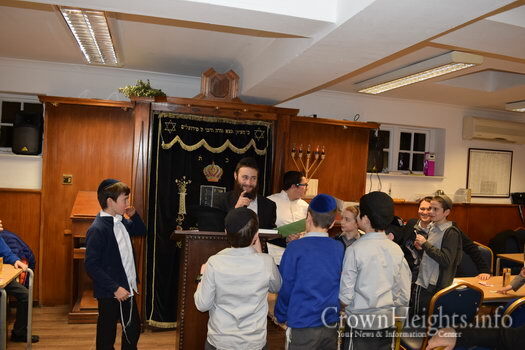 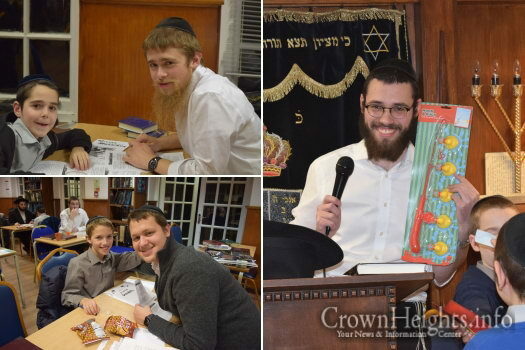 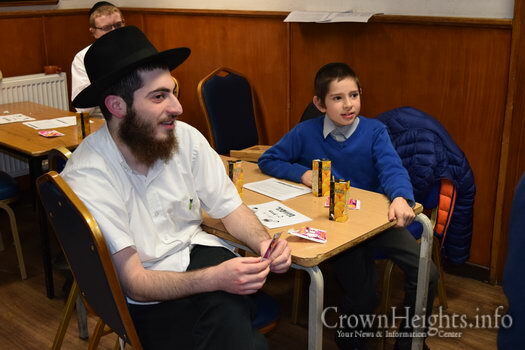 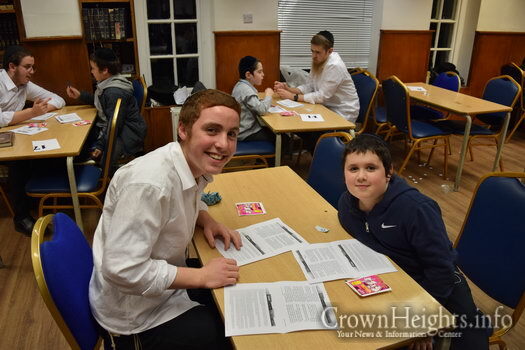 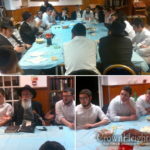 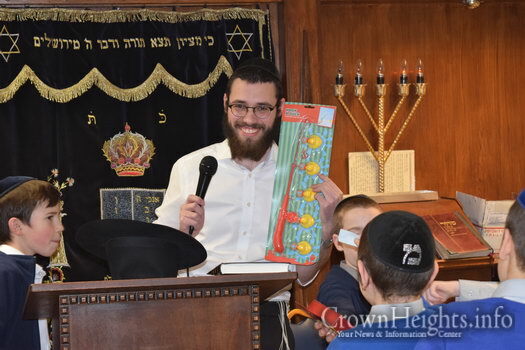 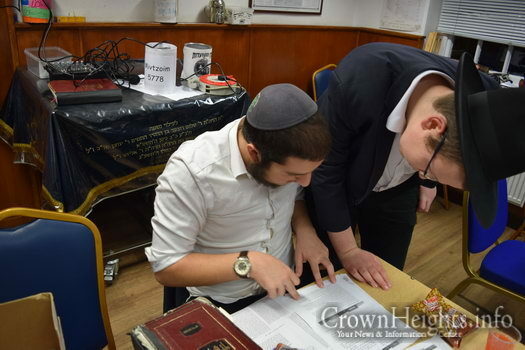 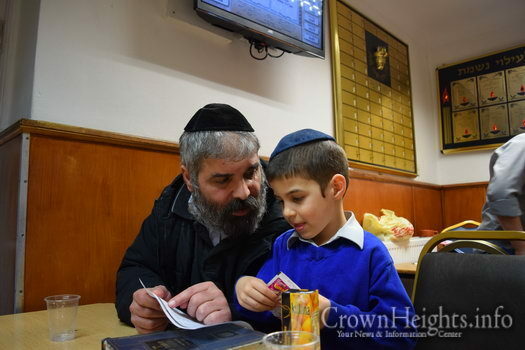 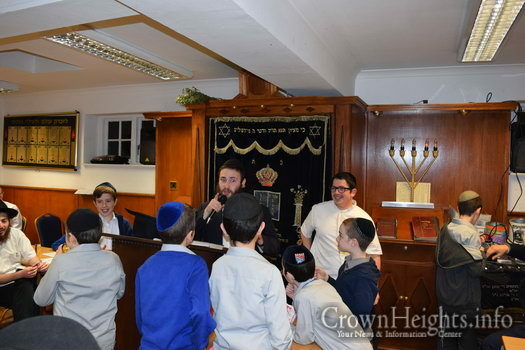 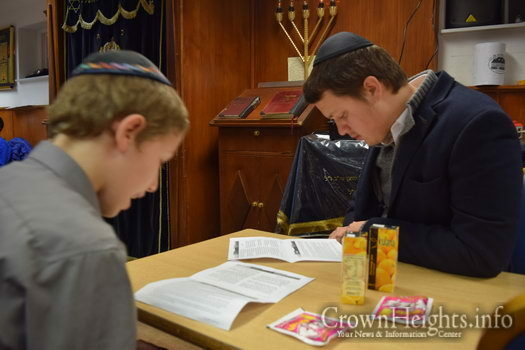 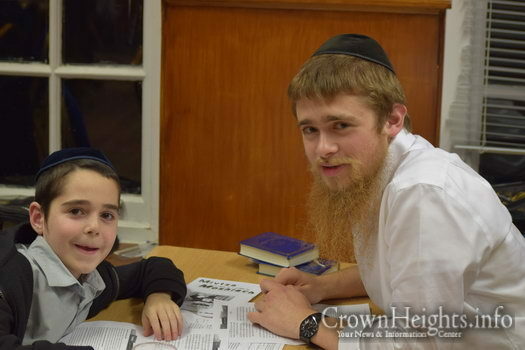 This past Thursday night, for the first time in many years, students of Lubavitch Boys’ School — as well as other schools in London — were paired up with Bochurim from the Yeshiva Gedola of London (YGL) for a special weekly learning program called Mishmor. 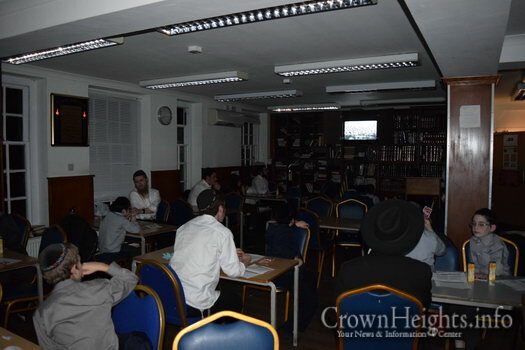 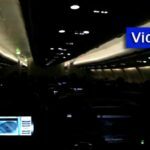 Together the boys learn a Sicha, watch a video of the Rebbe, enjoy refreshments, and enter in to an exciting raffle at the end of the program. 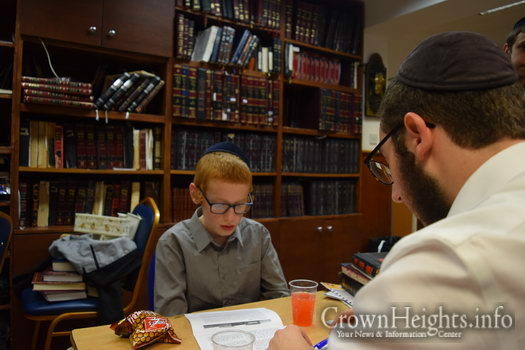 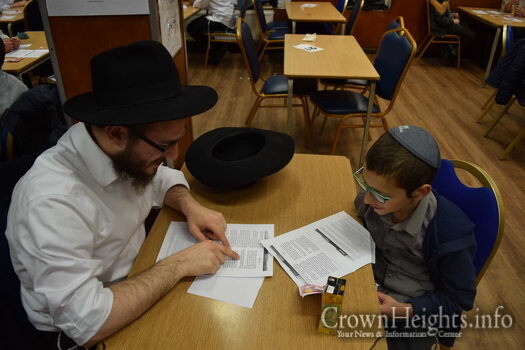 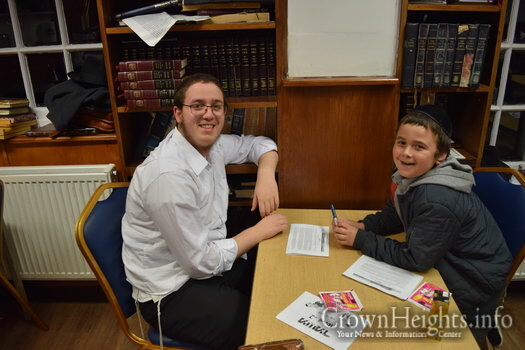 Every week, the energy in the room is palpable, as the Bochurim come together to learn in the Bais Hamedresh of the Yeshivah, each of the Bochurim learning a Sicha one-on-one with a student of the boys’ school from grades 4, 5 and 6. 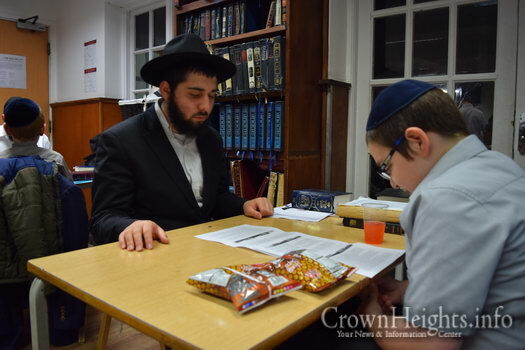 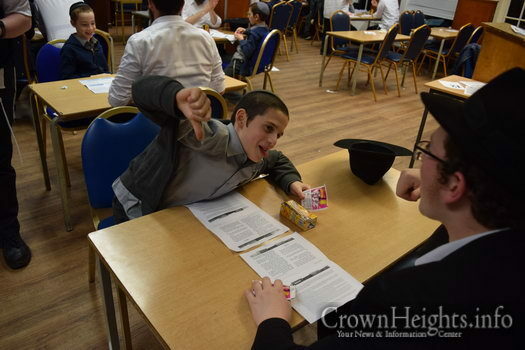 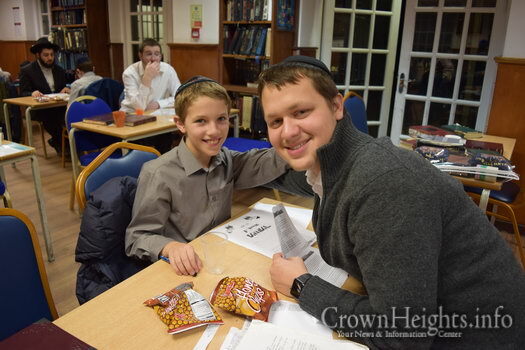 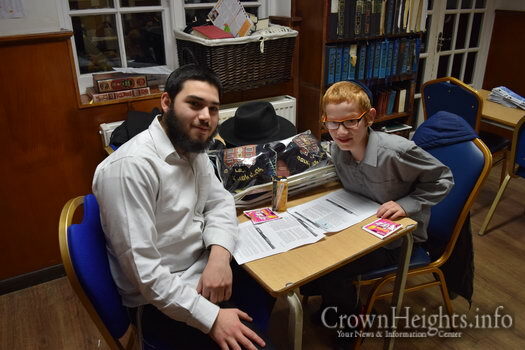 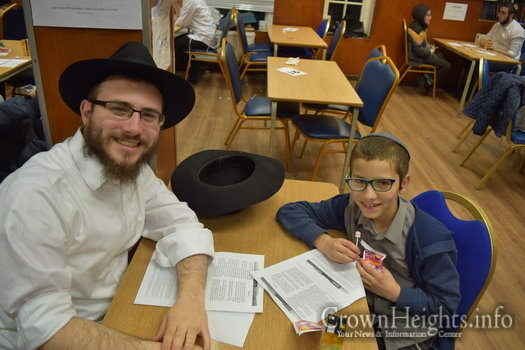 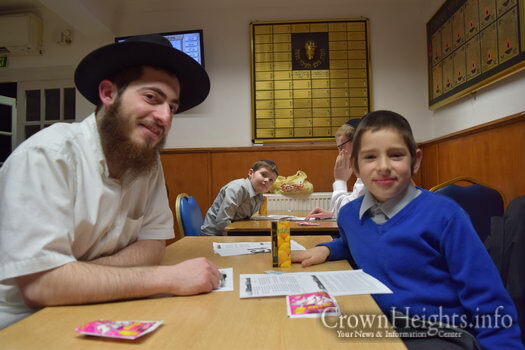 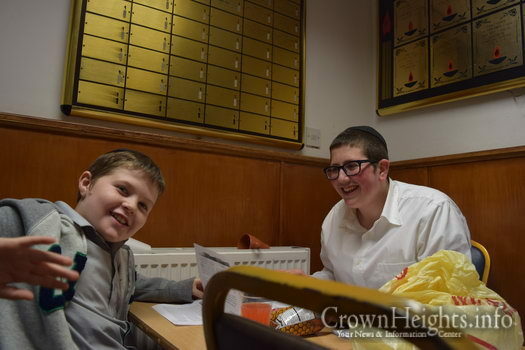 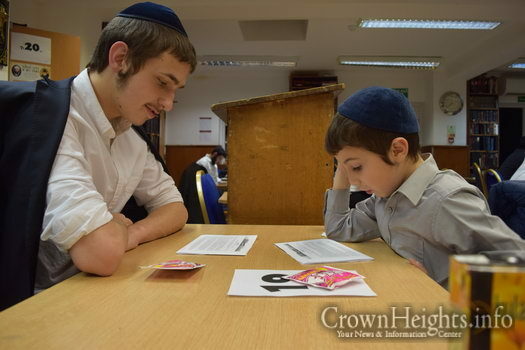 Mishmor is organized in London by the Shluchim of Yeshiva Gedola Lubavitch, together with the boys’ school, yet the commitment of the bochurim is what makes it the success that it is – giving up their supper break each and every Thursday night to learn with the younger students. 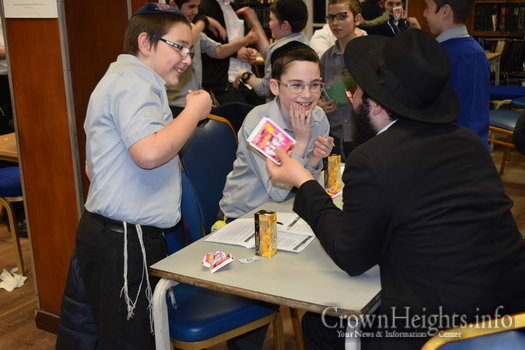 Special thanks to the Bochurim from Yeshiva Gedola, Rabbi Hackner and all of the sponsors for making this possible. 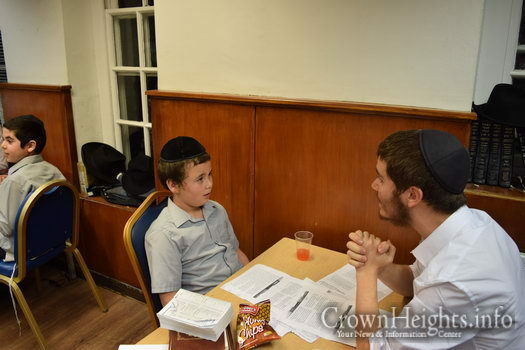 To help support the YGL Shluchim in their future projects, please visit Yglshluchim.com.